Done. I had so much energy and wanted to do more. It must be the chia seeds in my green monster smoothie that I drink almost every day. I ran 3.13 miles for a virtual 5K. 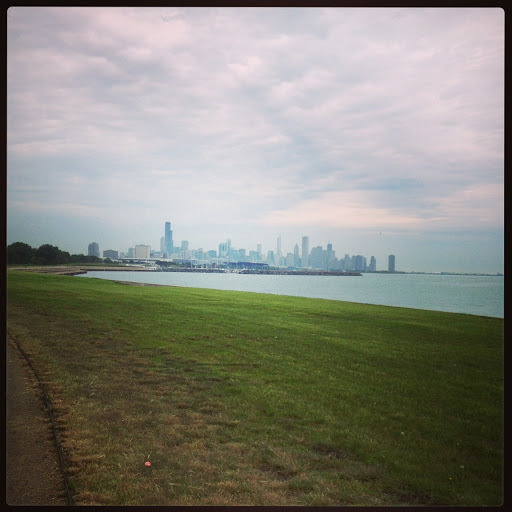 It was another gorgeous day to run along the lakefront. Total miles ran this week is 9.08. Since I am doing The L.A.T.E. Ride at the end of the month, I decided to take out my bike for a ride. 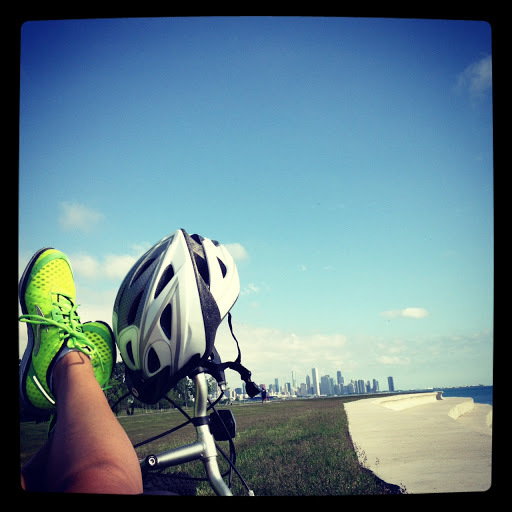 And yes, I did that along the lakefront too. It was tough at the beginning but then I got the hang of it. I did 2 miles and took a break because my quads were on fire and my seat was not so comfortable (even with a seat cushion). I did another 2 miles and took another break. I guess that was my warmup because I turned around and rode 4 miles straight for a total of 8. You should have your bike professionally adjusted. Most bike shops will do it free or very cheap. It will help a LOT with how comfy you feel while riding and can REALLY increase the time you ride without a break. Form is key!Love the cool pic with you and your Pure Connects! Glad you are enjoying your summer! Thanks!I LOVE my PureConnects. Since I can't run in them anymore, I will use them for bike riding. Ha, I must have been in a really good mood when I ran my intervals. Sometimes I dislike them and am cursing through them. :-)Take it easy. I hope your calf gets/feels better.